Today I’m going to talk about a topic that’s been a persistent bugbear of mine for years. It’s about websites – specifically, about new websites that lack even the most basic digital marketing features. I still see way too many newly built websites that don’t even have the most elementary features in place that allow it to attract an audience and generate business for the client. Too many websites are still being sold, built, and launched, without even these rudimentary features in place. Sometimes I even see fresh websites that aren’t even mobile-friendly! I can’t even begin to start counting the times I’ve been asked to provide digital marketing input on a newly launched website and found that the site is fundamentally flawed for SEO, let alone that it has any basic SEO features. Getting SEOs involved in the early stages of a new website project is crucial, but stating that circumvents the real issue at the hear of all this. The real issue is that too many web developers don’t see these digital marketing features as mandatory. For many developers I deal with, implementing things like static human-readable URLs, or an email capture form, or sometimes even making the website mobile-friendly, is an added feature that comes with additional costs. These developers see digital marketing features as add-ons, as extras that are surplus to requirement and thus cost more to implement. And I find that to be an utterly obscene position to take. It’s abhorrent to me that such websites are still sold to clients, who often don’t know any better, and then more money is extorted from these clients to put the basic elements in place that allow the website to attract visitors and generate business. I’m totally and utterly fed up with it. Let’s get one thing straight: these features are not optional. It is not acceptable to sell websites that have no digital marketing capabilities. Contrary to what many web developers think, a website is not a static finished showpiece – it’s an interactive product that exists to be used, and that means it needs to be able to attract users. I find it entirely unacceptable that a newly built website does not have even the most basic features in place to help it earn an audience. So let’s be clear here: a website without basic digital marketing features is not a functional website, in the same way a car without wheels is not a functional vehicle. We cannot allow web developers to get away with shipping half-arsed, incomplete products any more. 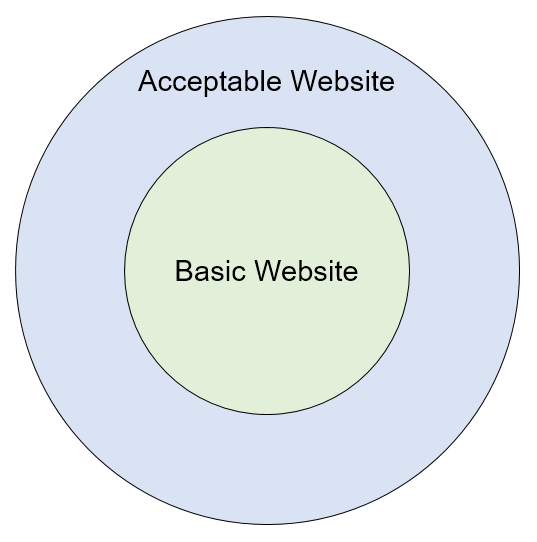 We need to change the dynamic and educate businesses on what is an acceptable feature set for a new website, and what isn’t. 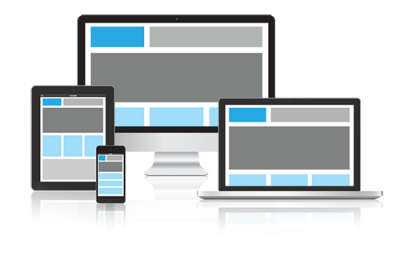 When we think of a website, we all have a certain set of features and functionality in mind. 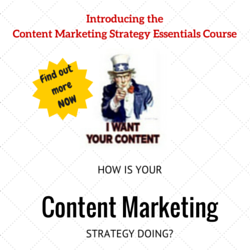 A website has pages, structured in a logical way, and contains text and images. We expect websites to have a content management system that allows the owners to make changes, add and change content, and so on. Let’s illustrate this with a simple diagram. 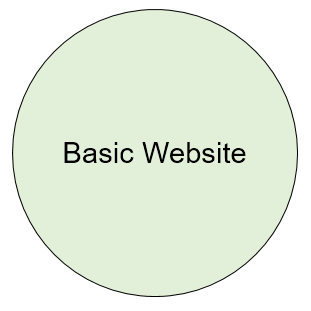 The basic website idea outlined above is what we all understand as the bare minimum requirements for something to be classified as a website. Too many web developer see this as the entirety of their remit – to design, build, and launch websites that adhere to these basic expectations. That’s it. Anything more is extra functionality that’s optional and, thus, chargeable. If a website doesn’t have these basic elements in place, it’s not a finished product in my eyes, and I will communicate that to both the client and the web developer. Note: What is acceptable to me might differ from what is acceptable to you. I’ll admit it’s not something easily etched in stone, and that it depends on the purpose of the website and the client’s requirements. But I think we can all agree that there are some standard elements, like the ones mentioned above, that most websites should have if there’s any expectation of getting traffic to the site. Then there’s a whole range of secondary features, which are steadily becoming more important and thus at risk of becoming mandatory features in the near future. These are things like structured data, a fully featured blog/news section, canonical tags & pagination tags, Facebook Open Graph & Twitter Cards markup, social sharing features, etc. For specific types of websites there are additional features that should be considered as close to this second level of mandatory elements. For example, if a site uses faceted navigation, I don’t think it’s excessive to expect the developer to put basic elements in place to prevent search engine crawl waste. Or, if it’s a WordPress site, to have some additional security features installed. Let’s call this an acceptable website. For me, this is the bare minimum that every web developer should deliver. Then there’s a third layer of features and functionality, that go above and beyond the realm of expectation. This is where web agencies can make a name for themselves, and create products that sets them apart. Here we’re talking about really cool things like fully AJAX-generated pages that are still 100% SEO friendly. Real-time integrations with several different stock management systems. Automated translation workflows. User-testing at every stage of the design & build process to create the most user-friendly experience. That’s the wow!-factor. That’s where web developers can make the biggest difference and really elevate themselves above their competitors, and build a name as deliverers of true excellence. If you’re a web developer and you churn out basic websites, with little regard for the features that make up the ‘acceptable website’ category, then you’re going to lose. In fact, I want you to lose. I want you to stop making websites entirely. What you do is simply not acceptable any more. If you’re a web developer and you’re confident you build acceptable websites, good for you. You’re doing your bit to make the web work and to keep the internet economy ticking over. But you should still be worried, because you’re eventually going to lose out to web developers that are the next level up – the ones that deliver the wow-factor. You’ll need to find your own wow-factor, and start creating things you can be truly proud of. And finally, if you’re a web developer firmly in the wow-factor zone, there’s nothing I can say that you don’t already know – and then some. Hat’s off to you. Now I’ve been criticising web developers for the past 1200+ words, and that’s not entirely fair of me. I have to put a massive caveat, and lay some of the blame squarely with clients. Because many clients – many, many clients – have no appreciation of the value of a great website. These clients just want that basic website and pay as little as possible for it. That would be fine, if those same clients didn’t also have extravagent expectations about what that website is capable of delivering. A cheap, basic website is not going to make them overnight millionaires. And in fairness to web developers, they are often faced with clients like that who have no budget but still want the full Lamborghini experience. So yes, let’s be honest and acknowledge that web developers have to make compromises on functionality due to the client’s budgetary constraints. And that needs to be communicated adequately to the client, so that there is no expectation that their new site is all-singing and all-dancing when it’s actually an eviscerated skeleton. Make the client understand what they’re getting – and what they’re not getting – and don’t make promises you can’t keep because you need the sale. It’s very easy for me to sit on the sidelines here and throw rocks at web developers. Though, in my defense, I used to sit on the other side when I was digital director at an agency that made websites. I’ve been there and done that, and have had those struggles where balancing client demands and budgetary constraints is simply impossible. So let’s commit to making life easier for all of us. Let’s communicate effectively with our clients and educate them on what’s feasible and what isn’t. Let’s make our work as transparent as possible, so that clients can come to appreciate the value of what we do. 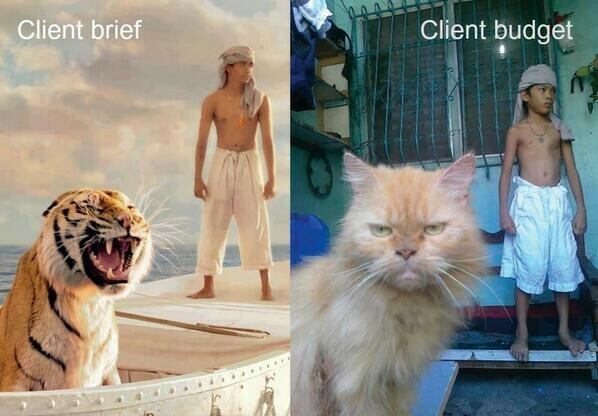 Let’s be honest in our promises to clients, and where the lines are drawn. And please, I beg you, let’s start building more websites that do everything they need to do, and then some. Let’s commit to make awesome things. No, it’s very, very, very, very easy. Like so easy that you’re kind of being dismissive and making yourself sound like you haven’t been involved in development. But anyway, we’re used to people without the ability to do what we do throwing rocks at us. Don’t worry, we’ll most likely dismiss your ideas like the rest of the crowds of people who all have an opinion during the development process that tug us in 1,000 directions. Look, the reason that crappy websites exist is that is what people ask and pay us to build. And yes, we’re aware that it is horrible LONG before the stakeholders. Given a choice, we’d build in everything marketing wants. Always. But people don’t want to cut that check. 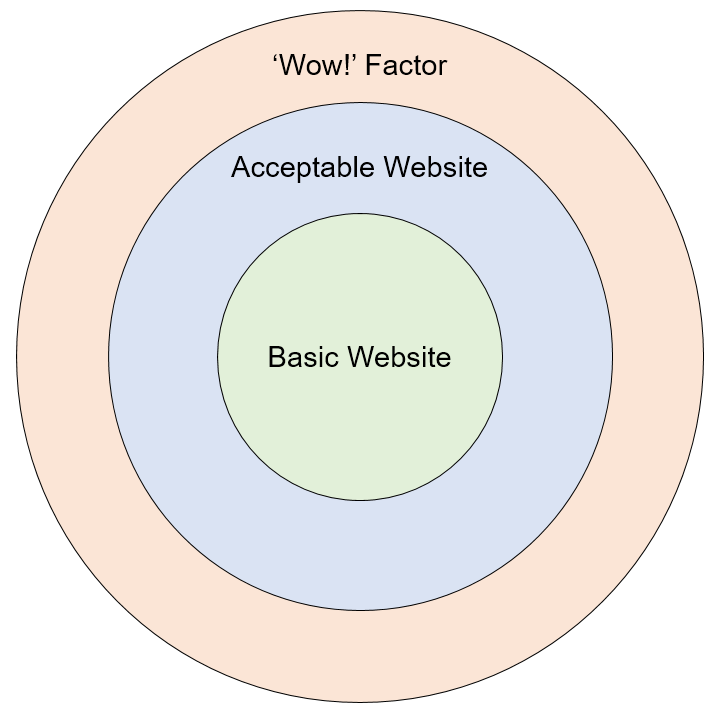 That “Wow factor” circle is way too small on the list of “client demands”. That’s usually the only thing they want … because they don’t actually care about marketing or SEO either. And all of this is sad. But thanks for saying it … we’ve been saying it for years … but we’re glad you got here. Sounds like I touched a nerve. Good. I’ve been thinking it for more than a decade, and am glad I got it out of my system. I fully realise there are plenty of web developers who are fully aware of what it takes to build high performing websites, and that they have to make compromises to fit client demands. I’ve made plenty such compromises in my day, trust me. But in that case I do expect clients to have been made aware of what their site has – and doesn’t have – in terms of digital marketing capabilities. And I don’t expect to be stared at as if I’m speaking an alien language when I query the developer on the absence of structured data, or why the site’s URLs are utterly unintelligible. In short, I expect developers to know the basic elements of digital marketing, and be able to communicate that to clients. Too often, that expectation is not being met. Here’s the pattern of the flawed assumption that I think you’re not seeing. c) Good developer who lost the battle with the client and was forced to build a bad solution. I think you might believe b is more common than c … it’s NOT at all in my perspective. Typically a bad developer gets weeded out of the market faster than you think. If scenario C was more common, then I’d very frequently be faced with developers who know exactly what digital marketing features a website should have but weren’t able to implement them. Unfortunately, that almost never happens. Instead, I am most frequently faced with developers who haven’t the foggiest idea of any digital marketing feature, let alone how to implement them. The market doesn’t correct for those developers because they can sustain themselves quite well off the back of client ignorance. It’s only clients who’ve been burnt once or twice by those types of devs that know to ask the hard questions. So from where I’m sitting, B is the most common scenario. Maybe my perspective is skewed since I worked for an ad technology company. Everyone there was pretty savvy. And I do study marketing, so maybe I don’t have a true experience that is that far reaching. 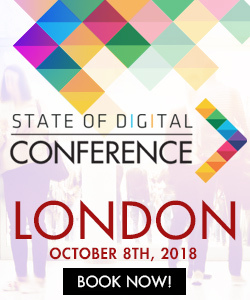 To me it just seems that most of the developers (lots of them pure novices) in my circles are fairly in tune today with digital marketing features. But then again, on the developer side we also have concerns like maintainability, scalability, performance and managing unrealistic client expectations to deal with so I should probably have to admit that sometimes the demands of a marketing dept that get submitted at the eleventh hour usually do get pushed. But not always. I just last month implemented Google Tag Manager, as a simple example, because I knew it would be a better solution than the request from marketing to insert Google Analytics tags. Nothing fancy, admittedly, but it’s a better solution from a digital marketing perspective, I’ll bet. Overall, I think you’d need to actually sit in the developer chair to make the judgement. Maybe a better title for the article should have been “Stop Forcing People to Build Crap Websites”. It’s rarely the call of the developer. Have you ever been a developer by any chance? It would be charitable to call me a developer – I put together websites back in the stone age years of the web when we did everything with HTML and tables, and hacked together some Perl scripts for internal uses. I have however been on both the agency & client side of enough web projects to feel I’ve a sufficiently informed opinion on the matter. Well, I’d challenge you to walk a mile in their shoes … get on a small project and contribute. Maybe it will soften your perspective. I know my whole developer world was turned upside down when I started learning digital marketing. Especially small projects are supposed to use a CMS in order to deliver maximum value. That is the question of the customer. The customer needs help. Your help. You need to convince him that having a basic website is more important than the story of some feature he has in his mind. Maybe I haven’t interpreted your article correctly … if so, my bad. I work with developers a great deal and most are total and utter fools who refuse to engage with even basic SEO stuff… to give you an example of a recent project: web developers employ me to do do SEO, so I make recommendations… I give them a list of must haves – they half implement the must haves and then wonder why things aren’t going to plan – then I explain to their client that there are problems with implementation, after the client contacts me to complain about the SEO results – then the web devs threaten to sue me for damaging their reputation. Most of the web devs I work with REFUSE to engage with SEO – they just want to get money off their clients for doing the easy stuff. As for the quality of the websites they develop – I often find myself having to tell them to do basic UX stuff – they often sell templated sites worth a few hundred quid for £8,000 / £10,000 or more – the stories I could tell. We need a quality ticklist for both web devs and SEOs – a basic ISO type standard, because 90% of the web devs I work with are incompetent or worse, and of course we know there are umpteen problems in the SEO industry too, with quality. Awesome advices , thanks a lot ! I just created my personal blog I always wanted ( using special themes from templatemonster.com/blog-wordpress-themes/ ) , and I still have many work to do before it becomes popular and able to attract readers. Thank you! I thought it was just websites in Singapore but I guess it’s a worldwide phenomenon. But LET’S DO BETTER!